Melbourne's weather teeters forever on the brink of imminence. If it is warm, a cool change is expected. A day of rain bisects a month of shine. Spring vanishes for weeks on end. Summer arrives unseasonably early, inexplicably late, not at all. Winter is wet but not cold, cold but not wet. Yesterday's skyscrapers were today's holes in the ground. Tomorrow's landmarks had lakes in their foyers and computer-monitored pollen filters and the city council was putting little lights in the trees so we'd think it was Christmas all year round. Murray Whelan, like the Australian Labor Party next to his son "loves the working man best." He watches the back of Charlene Wills, Victoria Minister for Industry in his job as electorate officer. He helps juggle government funding, favour-sharing and his open office doors could easily be surmounted by a sign "Axes ground here". When it came to complex, bitter and intractable conflict, the Labor Party more than met my needs. Beginning in 1990s Melbourne, Victoria the first book, Stiff uses the 'working class' vernacular heavily. Sadly there is no dictionary in the back to help those not up in dialect. While it is amusing and in character for one toiling in Labor Party near-obscurity in the traditional strongholds of Melbourne to use this language, it makes the text of Stiff inaccessible to the great majority of English-speakers. In this author Shane Maloney has done himself a disservice, however later titles have much less of the vernacular and are therefore more accessible. For most people, a person "getting on the blower" will seem exceptionally odd, but for locals of a certain age and experience this means making a telephone call. 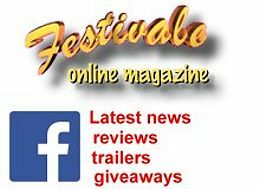 The Whelan books are procedurals -- they are step-by-step investigations in which the amateur crime investigator (by profession a political investigator) narrates his home life (as a money-poor single father) and work life as well as his investigation. Australia having strict gun laws, the stories are short on gun battles and car chases and heavy on rough language and knocking the powers-that-be. Like most crime stories, the environment (background and setting) plays a large role in the tale. The Melbourne location and working-class characters are very specific, which adds to the interest and makes the language less accessible to 'outsiders' in the readership. Murray moves on to become an ministerial adviser, and then a Member of Parliament (M.P.) himself as the series progresses, but he remains a working-stiff's polly (politician). 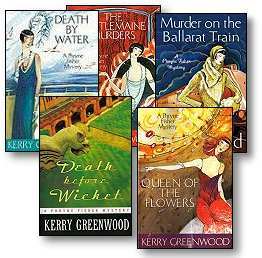 Not fast-paced enough to be breath-batedly compelling, this series, its period setting and characters contrast against those of Jazz Age Phryne Fisher the series of another local writer Kerry Greenwood . Don't you just hate it when somebody tries to kill you and you don't know who or why? It's not easy being a political back-watcher. When The Sun runs a story about possible political unrest rising from the death of a Turkish meatpacker, Murray Whelan is called in to investigate and write the bureaucratese report that will quiet the hearts of the politically nervous. It is a few years later and in 1990s Melbourne Murray Whelan is juggling the arrival of his young son from Sydney for a few days with his new job in the Ministry for the Arts. The dress code is avant garde, the language is art jargon and the plonk is definitely of a better vintage. His wagon is still hitched to Agnelli's, but that could change at any time, especially if Agnelli doesn't seek Murray's advice, instead choosing to blaze a political trail for himself in party finances. Before he knows it, Murray is up to his proverbial armpits in seedy old school chums, dead art-types and fake paintings. Melbourne is in the midst of an Olympic bid. Up on Spring Street the MOB (Melbourne Olympic Bid) are spending the government's and corporate sponsor's money on wining and dining various personages connected with the big decision. This is not the right time for an aboriginal activist to raise his voice. Murray is borrowed from Agnelli for a week to act as consultant and chat to the activist and find out exactly what he wants. The offer is a good one, sweetened with a bribe to bring son Red down from Sydney to carry the goodwill torch to its final destination. Meanwhile our political Aussie battler is battling his waistline, his nicotine addiction and the steroid-crazed ex-boyfriend of an aerobics instructor. Murray's son Red has disappeared and his boss Angelo Agnelli has sent him on a mission to infiltrate the toughest union in the country.